Illustrators Elise Hurst and Tony Flowers have been part of the Australian Society of Authors’ (ASA) project One Word One Day. Their artworks, based on the themed words ‘Scratchy’ and ‘Hairy’, will be auctioned on Wednesday 4th September as part of Indigenous Literacy Day at the ABC Southbank, Melbourne. Around Australia, illustrators were brought together to create pictures, and work and play. Each gathering was supplied with a delicious array of art materials, and invited to explore a surprise theme word visually. The finished artworks will be auctioned to raise funds for the Indigenous Literacy Foundation. The auction will take place on Wednesday 4 September, Indigenous Literacy Day. 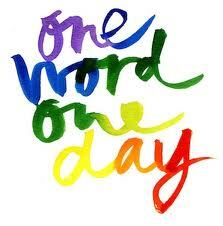 One Word One Day is organised by the Australian Society of Authors in conjunction with the Micador Group and the Indigenous Literacy Foundation. The ASA would like to acknowledge the support of ABC Local Radio in this project.